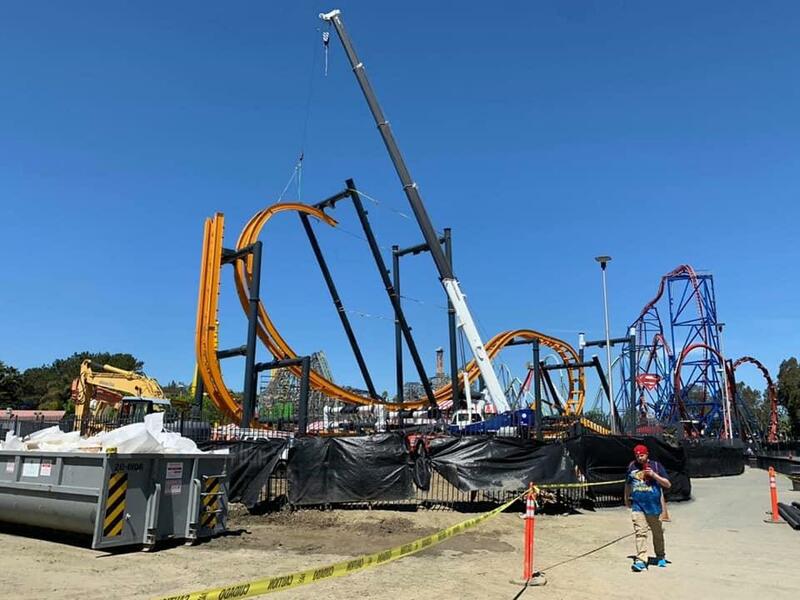 SFDK 2019 - BATMAN: The Ride: S&S 4D Free Spin : Theme Park News & Construction! 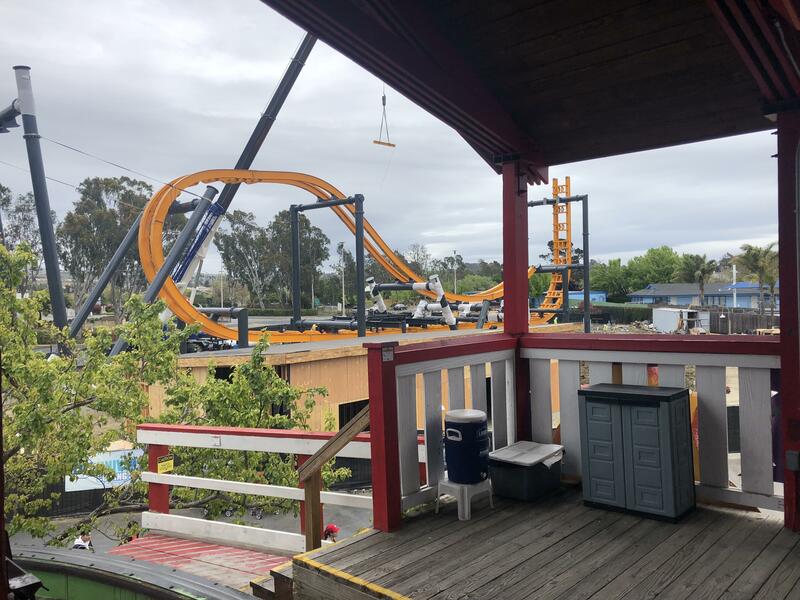 Northern California's First 4D Free Fly Coaster! 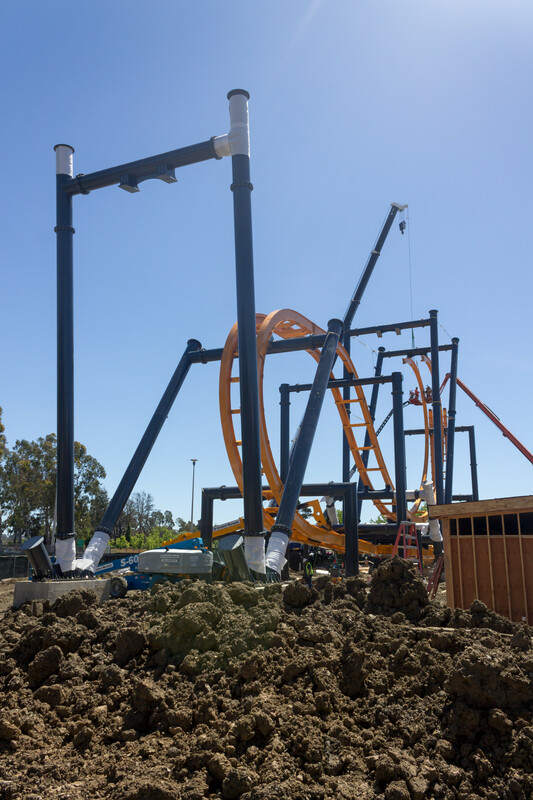 Northern California's first 4D free fly coaster will be themed after one of the world's most iconic DC Super Heroes. 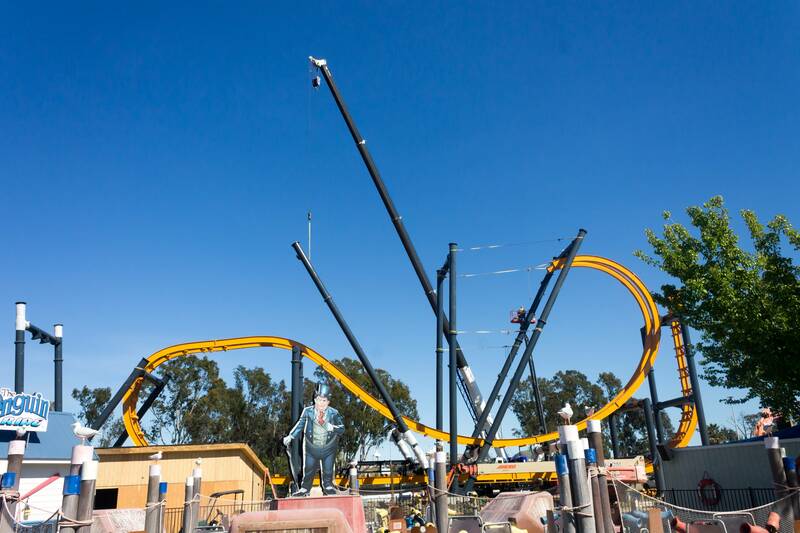 Batman: The Ride will offer a fantastic, flipping weightless coaster experience featuring six free fly inversions. 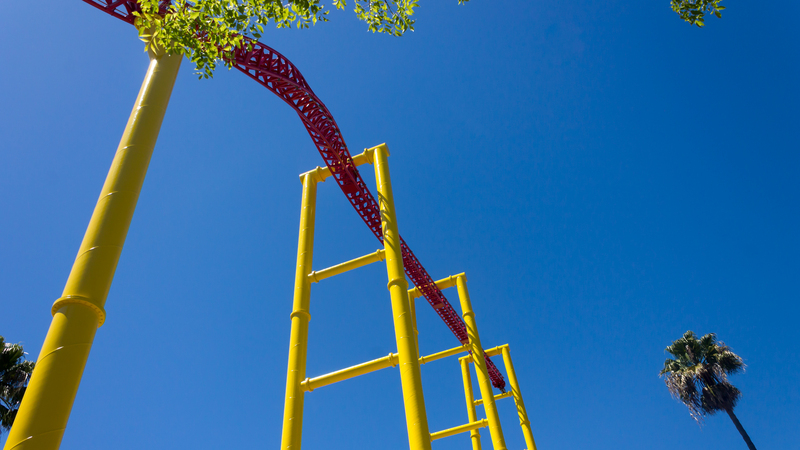 The most exciting new ride experience is coming in 2019. Batman: The Ride is a unique 4D free-fly coaster that features a tumbling, free-fall journey along an I-box track. 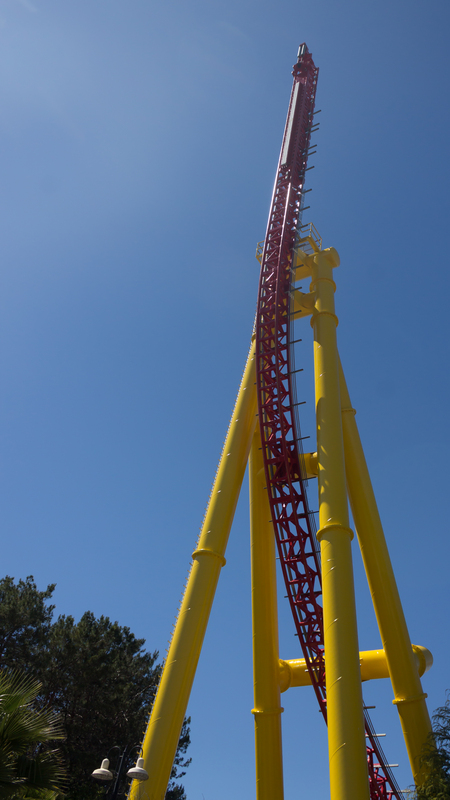 Riders experience a feeling of weightlessness as they flip continuously throughout the course of the ride with at least six head-over-heels inversions. 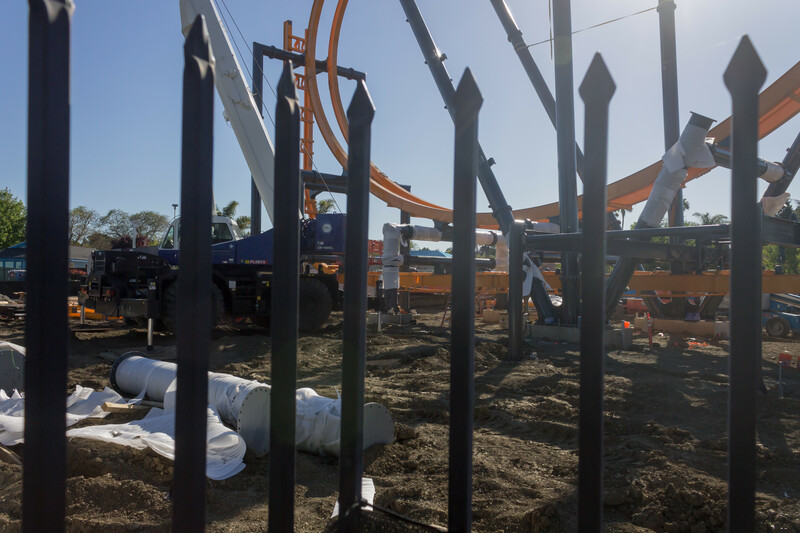 Riders are suspended outward on either side of a massive, imposing, floating and twisting I-box track frame, on 4D wing vehicles. 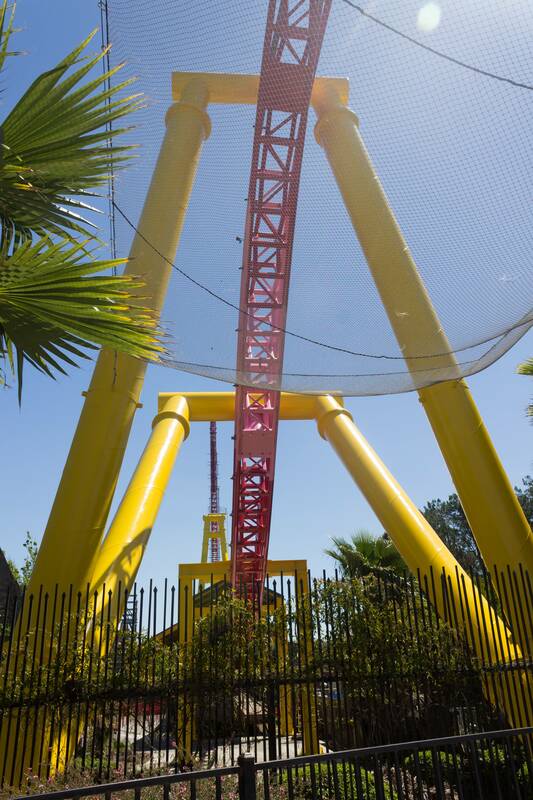 This 120-foot-tall coaster features a 90-degree hill that is ascended by an elevator-style, chain link lift. Experience a sensory-overload as riders flip and soar on a tumbling journey with unexpected drops and vertical free-falls. 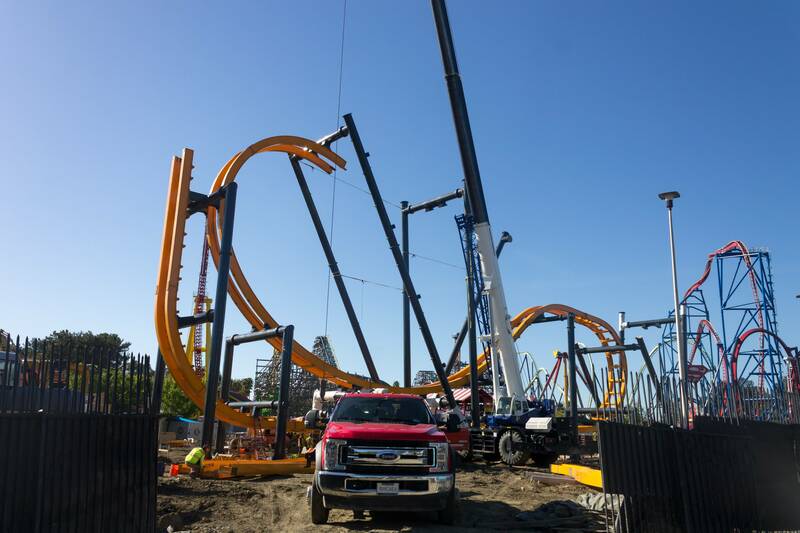 An outstanding visual as this bright yellow and black two-tone coaster, representative of one of the world's most iconic DC Super Heroes, paints a new park landscape. I’m actually excited. Haven’t been on one of these yet. SFDK is a 6ish hr car ride from me. So it gives me a reason to go back. No one saw this coming, but it begs the question; when will Six Flags realize that they have no more expansion room in Discovery Kingdom and that they've been pouring $$$ that they could've spread out for years? Don't be surprised is this ends up opening late in the year. Yeah! 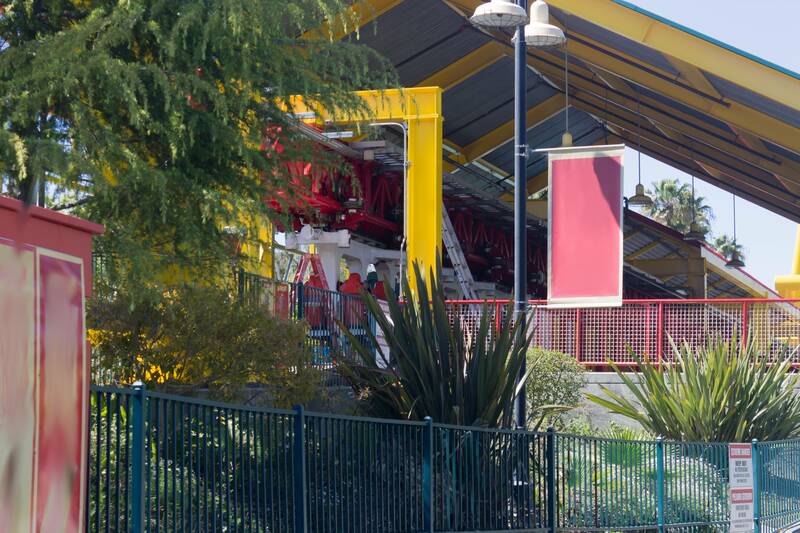 The height limit is 150 feet, less in areas closer to the lake, which is why all the tall rides are on one side. WHy are they wasting precious space with a skywarp and this? How much space for coasters do they have left? Well then... this is again evidence of the inefficient Six Flags time management. I mean, red flags were waving everywhere; the Go Karts haven’t even been removed, nor have the parts for this ride shown up yet. 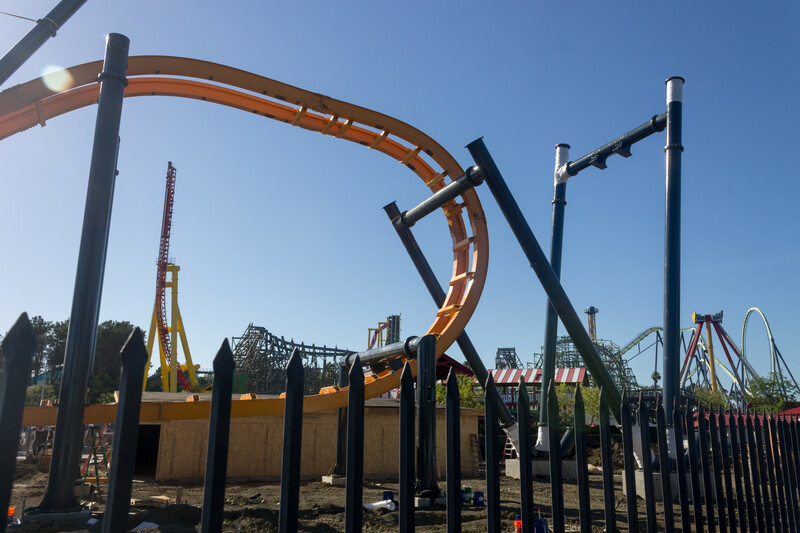 I don’t understand how Cedar Fair always ends up getting their coasters ready for the park’s opening day, whereas Six Flags waits it out for some time. Last edited by Kw6sTheater on April 22nd, 2019, 7:23 am, edited 1 time in total. I wouldn't worry too much about this. Free spins only take a few months to build, so as long as the park starts construction in January I'd still say the chances of a Memorial Day opening are quite good. Unlike last year's addition, this is a stock model that has been proven at numerous other parks, so I don't foresee any unexpected delays this time around. 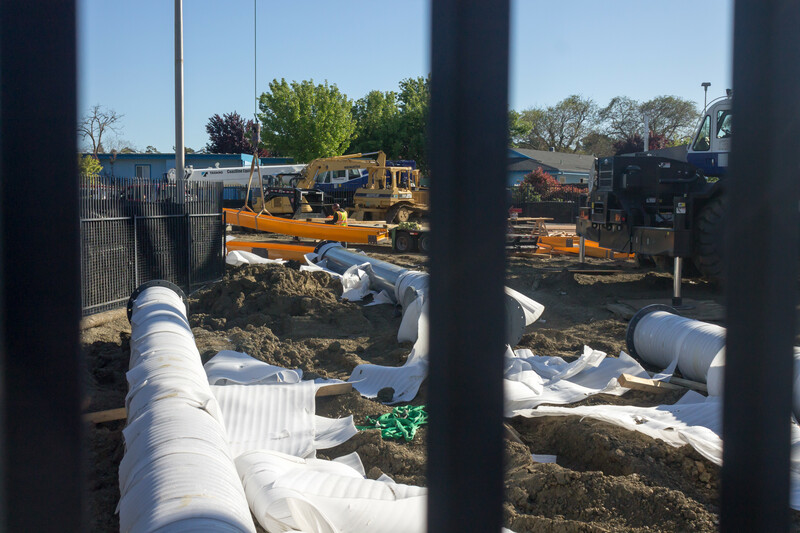 So hopefully, its full steam ahead for construction to fully begin in January.